Guruji HH Prophet Babaji is a Tantric yogi sage in natural state who has served people worldwide using his spiritual gifts. He traveled globally, meeting humans from all races, creeds, nationalities and social backgrounds to uplift and inspire them to achieve spiritual and physical excellence. He also is a superb beast master/pet whisperer and has an uncanny connection with all animals. He has the wisdom and compassion to help all beings who approach him with a humble and sincere heart. He has been a KEEN BLOG TALK RADIO HOST since 1 May 2016 to give free spiritual/love & relationship advice on air. Prophet Babaji's approach is most powerful, direct, compassionate, accurate and highly effective. He uses NO tools. Instead, he uses laughter as the greatest healer. Prophet Babaji is gifted with yogic powers and has given aura/chakra balancing/cleansing, clairvoyant/clairsentient/clairaudient readings, created empathic connections with others, both living and deceased, and gives ancient prophetic visions and wisdom from akashic records which are dead on accurate in absolute truth. Prophet Babaji also generously gives FREE live readings on air through his radio show, "Babaji the Caveman" on Keen Blog Talk Radio. He airs on Sundays at 8 pm PST. Prophet Babaji shares his insights on enlightened living to enhance your spiritual development as well as answer questions in all matters. He specializes in love and relationships. Awesome Babaji! Always on the top of all my questions! Sorry Babji, I ran out of funds.. . You are the best. I'll get back to you later. Our Guruji H.H. Mahavaduta Adi Kalki Prophet Babaji,Time traveller, a genius Love Guru, Laughter Guru: Got Laughter? 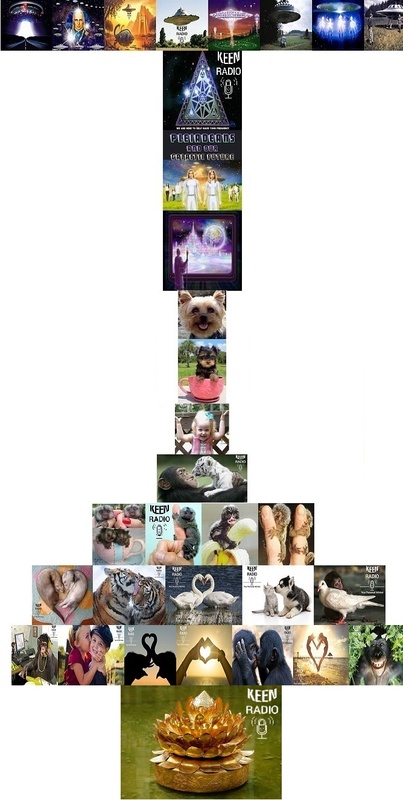 has gone global at this urgent critical time to create and establish One World Love (OWL). 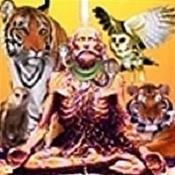 Babaji, the miracle man/cosmic alchemist is the expert soulmate finder, the master match maker (MMM) who finds/unites/reunites soulmates/twin flames. Babaji brings about the notion of unity amidst diversity in laughter, the greatest healer with an excellent spiritual sense of humor that is love light being shared totally, equally and freely without prejudice universally. He is the funny, hilarious Cosmic Comedian. He is an unconventional global spiritual grandmaster intuitive, empath, clairvoyant, clairaudient, claircognizant, clairsentient, multidimensional AKASHIC advisor, the spiritual godfather/wise guy and a great mystic tantric yogi sage, in natural state. Babaji is dead on accurate in absolute truth and is extremely honored to serve you. Babaji, the prophet of our new age, is omniscient, omnipotent and omnipresent. He's been humbly, loyally serving all beings globally with divine gifts with utmost honor and integrity. This is his last incarnation on Earth, so please let us all come to Babaji with a humble, sincere beginner's mind and devotional loving open pure heart, for final confirmation, affirmation, verification and validation as ultimate solution oriented remedy to receive his blessing grace and fully take advantage of his infinite wisdom, guidance and miracles (so shall he sees, so shall he says, so shall it be and so shall it be done). He is a transmitter and transformer, an expert dream interpreter,best beast master,pet guru and pet whisperer, born with intuitive awareness, prophetic visions, unparalleled ancient crazy wisdom and yogic powers. He can help you to transcend spiritually, mentally, socially, psychically, intuitively and relationship wise, by strengthening your inner spiritual independence and self-sufficiency, by kicking out your crutches to help transcend your limits and giving you direct answers to your questions as no issue is too big/taboo. He is a silent breatharian naked caveman (uses no tools) fully absorbed in super consciousness in India. He gives spiritual suggestion not advice because he respects your free will to make wise decisions. This compassionate, patience incarnate, understanding, childlike, playful, kind loving sage helps celebrities, spiritual masters/gurus, kings, queens, royalty, presidents, prime ministers, heads of state, shamans, advisors, light workers, priests, psychologists, psychiatrists, philosophers, astrologers, numerologists, yoga and tantra masters to attain self-realization or enlightenment. Babaji always states to all of his disciples, with great inspiration and encouragement: No fear when Babaji's here and don't worry be happy, attitude is all important in one's spiritual evolutionary advancement. Have a positive mental attitude with good thought, speech and deed. Give a little more than you take. Love knows no fear, no limit, no logic, love is crazy. Divine love is above and beyond time and space. Have a clear conscience. Increase your will power. Never give up. Start over. Hope for the best. Be patient, you'll be alright in the end with the messenger Babaji. Forgive and forget. Let go, let be and move on. Let all your fears come out with your tears. Don't regret the past or worry about the future, forget about it. Build up your self-love, self-respect, self-esteem, self-worth, self-reliance, self-assurance, self-sufficiency, self-confidence and self-independence, slowly but surely. Be yourself, be positive, be true, be real, be simple, be natural, be brave, be love, be happy, be laughter, be patient, be present, be silent, be free, be here now, and just be. His focused mission as the universal friend Maitreya/divine father-mother who has no personal life of his own is to serve and protect the future generation of poor orphans globally. Babaji's unlimited miracles make your soul soar like an eagle freely to infinity. Babaji sends his blessing grace and protection to all. 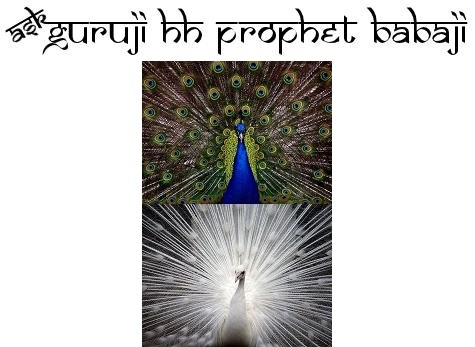 GURUJI HH PROPHET BABAJI has been a user of Keen since 2011. Getting Spiritual Readings advice from GURUJI HH PROPHET BABAJI through www.keen.com is safe, secure and confidential.